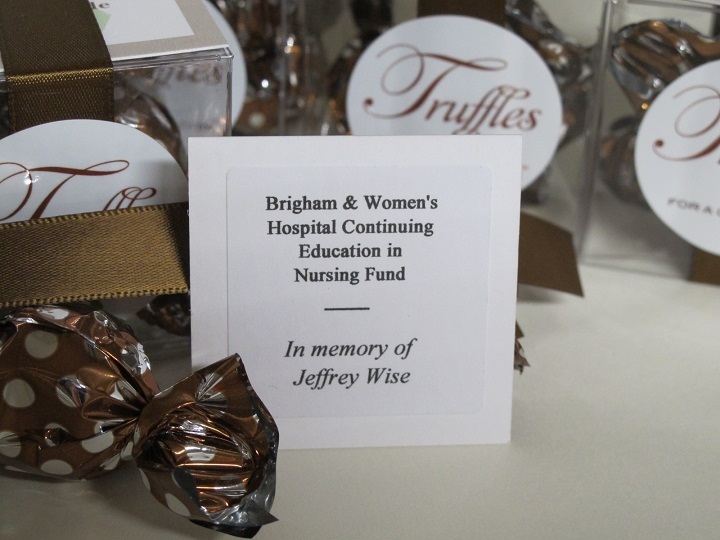 Brigham Women’s Hospital Continuing Education in Nursing Fund is the unique charity that Jennifer chose for her bridal shower favors. A major teaching hospital of Harvard Medical School, Brigham Women’s Hospital is an international leader in virtually every area of medicine with a history of pioneering breakthroughs that have improved lives around the world.The fund was created to provide extra funding that will be awarded as scholarships for current BWH nurses. The scholarships are awarded to nurses who are taking courses toward certification or a higher degree. Visit their site. 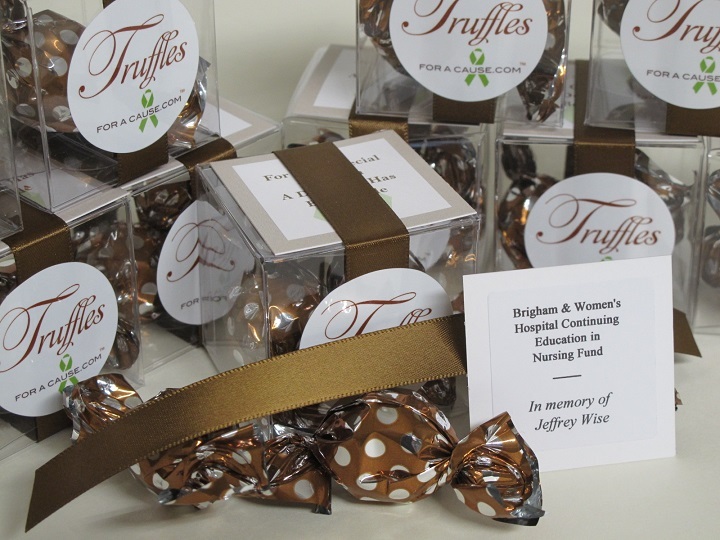 Jennifer’s favors were our Twist favors with double caramel twist truffles in clear favors boxes. Her charity card bears the special mention – “In memory of Jeffrey Wise.” Thank you Jennifer.